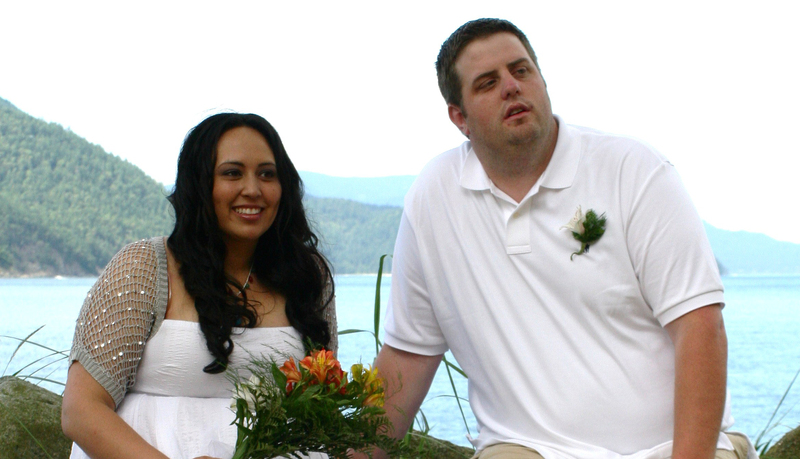 On July 28th, 2007 we were married on Guemes Island. We didn’t expect all of our family and friends to attend because it’s 1 1/2 hours away from Seattle but all 250 people showed up for our wedding day, it was amazing. We rented a vacation rental on the water for our ceremony and had our reception at the Nic’s family property. A big school bus picked everyone up as they walked over the ferry, bouncy houses for the kids and a cabin that was being remodeled as our dance floor. It was perfect.